Unwind in a carefree escape that perfectly blends the cool, calm feeling of a coastal retreat with all the fun and convenience of staying in Universal Orlando Resort – at a price that can’t be beat. This brand new hotel introduces extra affordability to your Universal vacation, with the lowest rates of any Universal Orlando Resort™ hotel. Casual, open spaces inspired by sand, sea and breathtaking sunsets welcome you with tranquil touches and natural elements. Here, guests enjoy exclusive benefits like being able to breeze into the parks including The Wizarding World of Harry Potter™ and select attractions at Universal's Volcano Bay™ water theme park an hour before everyone else*. With complimentary transportation, it’s a quick hop between the parks and the hotel. 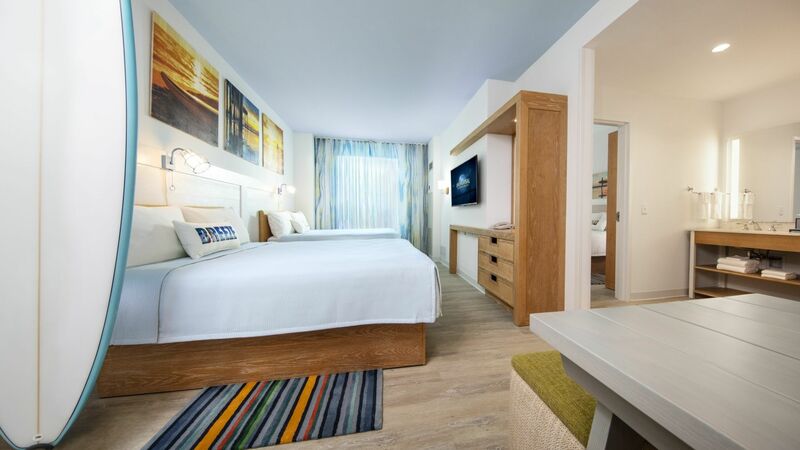 In addition to cool, calm and carefree rooms, Dockside Inn and Suites will feature spacious, two-bedroom suites that sleep six, making it the perfect spot for families of any size to experience a Universal Orlando Resort™ vacation. 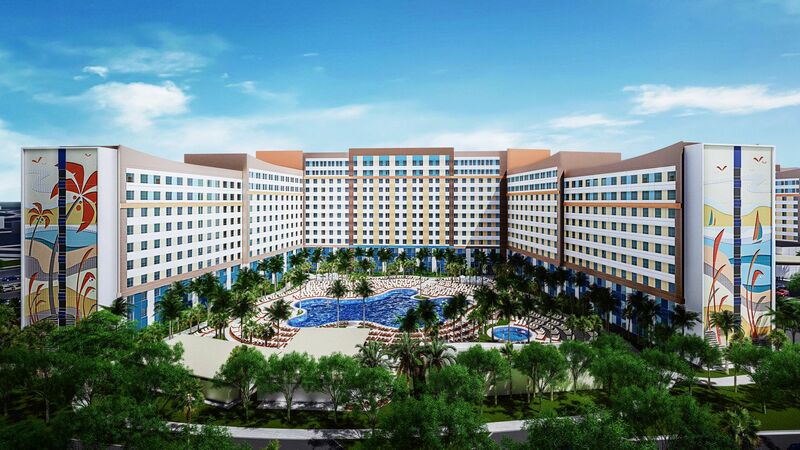 Dockside Inn and Suites will open in March 31, 2020 and will be part of Universal’s Endless Summer Resort, a vibrant and sunny retreat. 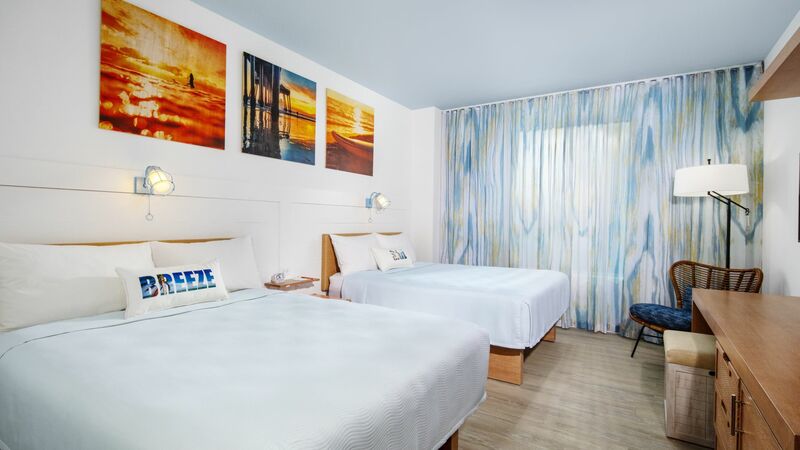 A sister hotel of Dockside Inn and Suites, Surfside Inn and Suites, will open June 27,2019. Cribs: Complimentary cribs are available upon request. Extra Person Charges: An additional charge of $10 per extra adult applies for more than 2 adult guests per room. *Requires theme park admission. Early Park Admission begins one (1) hour prior to regular scheduled park opening to either Universal Studios Florida™ or Universal’s Islands of Adventure™ as determined by Universal Orlando and Universal’s Volcano Bay™. Valid at select attractions at each park. Attractions are subject to substitutions without notice. Additional restrictions may apply. © 2019 UCF Hotel Venture V. UNIVERSAL TM & © Universal Studios. ENDLESS SUMMER registered trademarks, Bruce Brown Films, LLC. All rights reserved. Enjoy exclusive theme-park benefits you can’t get staying anywhere else.